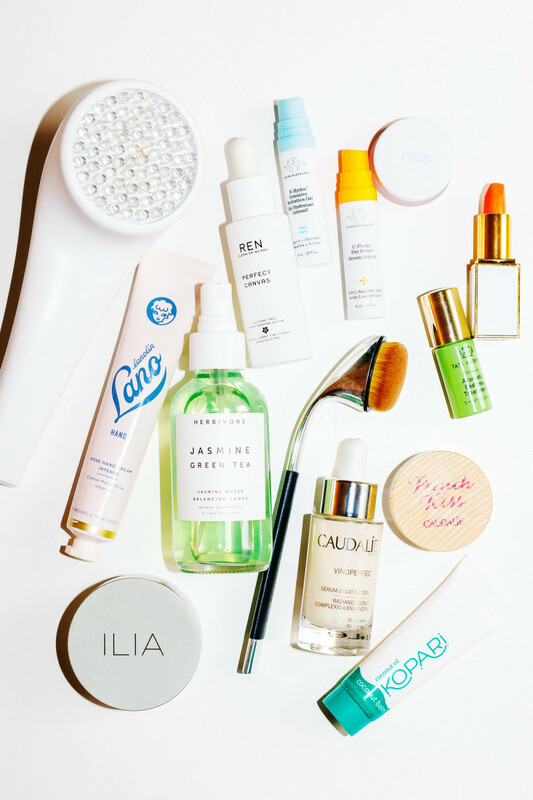 If you&apos;ve had any beauty products on your wish list, now is the time to pull the trigger, because Sephora&apos;s spring VIB sale is here! 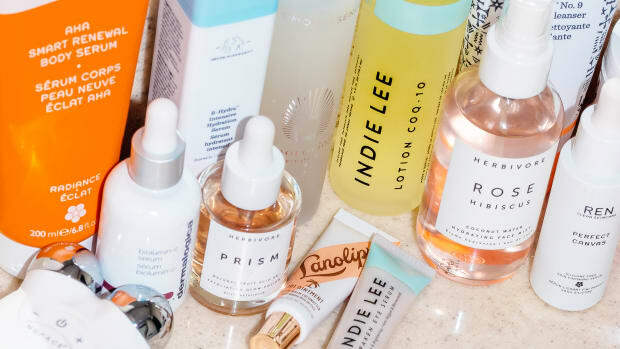 The savings are up to 15 percent off, and I&apos;ve got all the details on how to qualify to shop—and most importantly, what to buy. 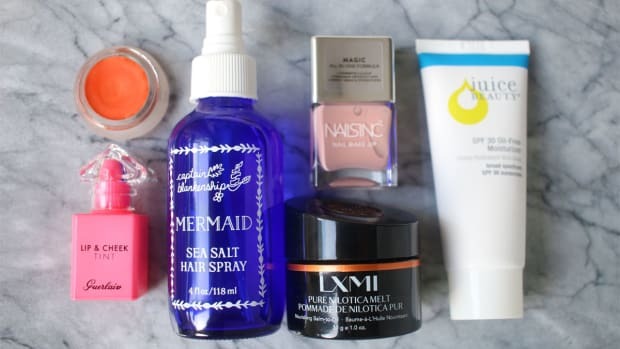 Keep reading for a complete list of the new, natural and cult-favourite products that I use and recommend. You must be a Rouge or VIB member. To qualify for Rouge, you need to have spent $1,000 in one calendar year. To qualify for VIB, you need to have spent $350 in one calendar year. You must be a member of the Beauty Insider program. Sign up here (it&apos;s FREE!). Rouge members get 15 percent off in store and online with the coupon code YAYROUGE. VIB members get 15 percent off in store and online with the coupon code YAYVIB. 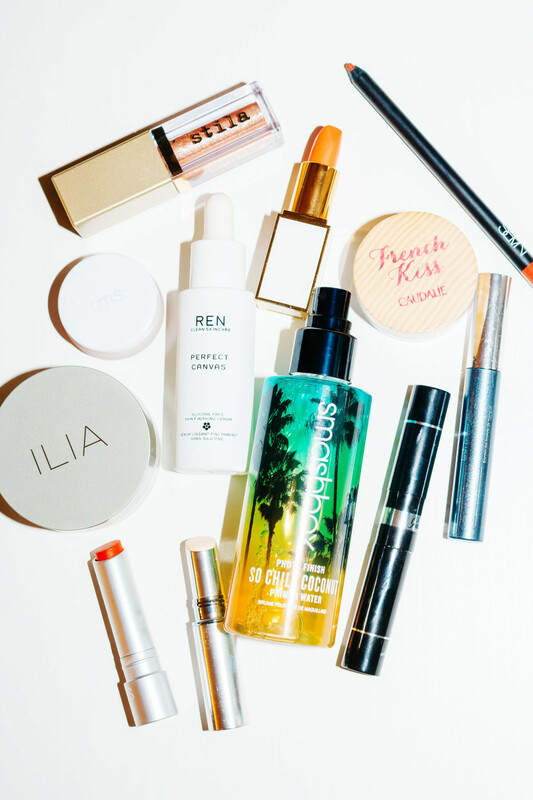 Beauty Insiders get 10 percent off in store and online with the coupon code YAYINSIDER. These codes can be used as many times as you want during the sale period. Sephora VIB sale picks from LightStim, Lano, REN, Drunk Elephant, RMS Beauty, Tom Ford, Tata Harper, Caudalie, Kopari, Artis, Herbivore and ILIA. 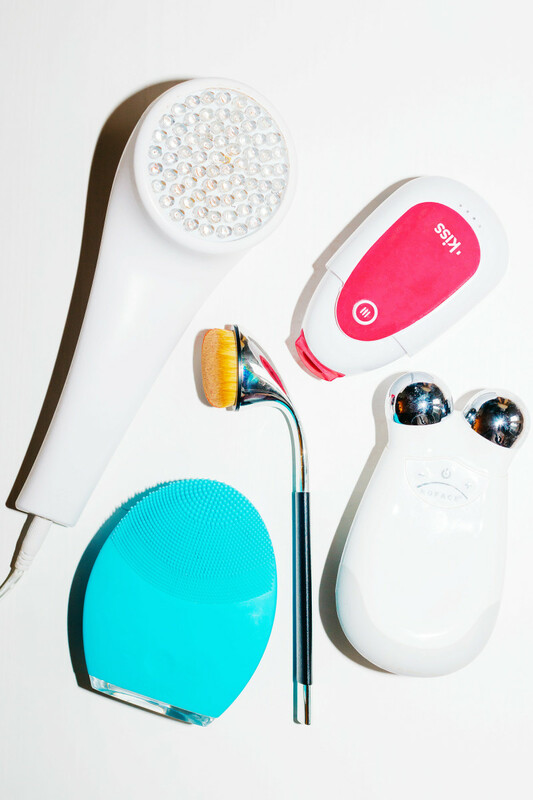 Beauty tools from LightStim, PMD, NuFace, Artis and Foreo. Microcurrent: If you&apos;d like your skin to have a firmer, more "lifted" look, the NuFace Trinity Facial Toning Device is a great investment. 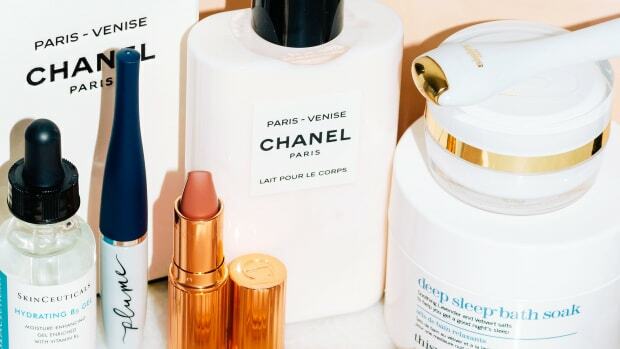 Miranda Kerr and Bobbi Brown both swear by it! When I use mine, I can definitely see a subtle result in the mirror. There&apos;s also the new NuFace NuBody Skin Toning Device, a body version for smoothing dimpled cellulite! Light therapy: I&apos;m a huge believer in the benefits of red LED light therapy, which will benefit your skin in every way. They just started carrying the Lightstim for Wrinkles ( only), a hand-held red light device (it should also help acne and pigmentation). You can also get a red light attachment head for the microcurrent gadget, the Trinity Wrinkle Reducer Attachment. Specifically for acne, there&apos;s the new Foreo Espada (reviewed here), a blue light for targeted spot treatments. Cleansing brush: As far as I&apos;m concerned, the Foreo Luna 2 is the best cleansing brush on the market. Made of soft, hygienic silicone bristles, it will deep-cleanse your skin and gently exfoliate—you will definitely see a difference versus just using your hands! Microdermabrasion: The PMD Personal Microderm is a home microdermabrasion system that gives results comparable to a medi-spa treatment. Lip plumper: If you&apos;d like fuller lips but don&apos;t want fillers, the PMD Kiss (reviewed here) is a great little gadget! It uses painless, pulsating suction technology to plump them up. Pillowcase: My favourite pillowcase with legit anti-aging benefits is the iluminage Skin Rejuvenating Pillowcase With Copper Oxide (reviewed here). If you just want something super-soft and luxurious, go for the Slip Silk Pillowcase ( only). If you&apos;re acne-prone, the Skin Laundry Sleepcycle Pillowcase with Silver Ion Technology may make a difference as it&apos;s antibacterial! Sleep mask: I like the iluminage Skin Rejuvenating Eye Mask (reviewed here) even better than the pillowcase because the anti-aging fibres are in contact with your eye area all night long! The Slip Silk Sleepmask ( only) is also amazing. Makeup brushes: They just started carrying Artis makeup brushes! If you get just one, make it the Artis Elite Mirror Oval 6 Brush, which is the perfect size for foundation and blush. Hair tools: I use the T3 PROi Professional Hair Dryer and the Drybar Tress Press Digital Styling Iron every single day (or at least, every time I style my hair!). For curling, I think the new T3 Convertible Base and interchangeable wands (such as Cascading Waves and Loose Waves) are genius! 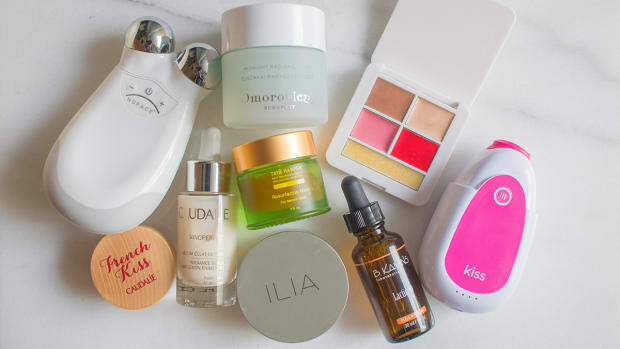 Skincare from Tata Harper, Caudalie, Juice Beauty, Lanolips, Herbivore, Biossance, Drunk Elephant, Omorovicza, SK-II and LXMI. Cleanser: My go-to cleansers, which I&apos;ve used for literally YEARS, include Caudalie Instant Foaming Cleanser and Consonant Natural Foaming Face Wash ( only). My favourite new discovery is Juice Beauty Blemish Clearing Cleanser ( only), which I&apos;m working my way through right now! I&apos;m dying to try the new Tata Harper Clarifying Cleanser and the new Youth to the People Superfood Face Wash. For dry skin, I recommend Dr Roebuck&apos;s Noosa Nourishing Crème Cleanser, and for oily skin, Boscia Purifying Cleansing Gel is great. Acid exfoliator: Juice Beauty Blemish Clearing Serum ( only), is a natural salicylic acid that&apos;s gentle enough for just about anyone to use (whether or not you get blemishes). For lactic acid, I like B. Kamins Lactic-10 ( only, reviewed here). 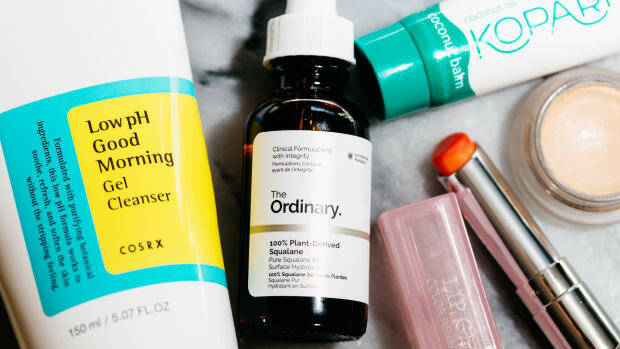 If you&apos;re looking for a combo AHA/BHA formula, I suggest the new Omorovicza Acid Fix (reviewed here) and new Consonant Maximum Glycolic Meta Serum ( only). Toner: The two natural toners I recommend are the new Herbivore Jasmine Green Tea Balancing Toner and Dr Roebuck&apos;s Lifesaver Skin Brightening Toner ( only). 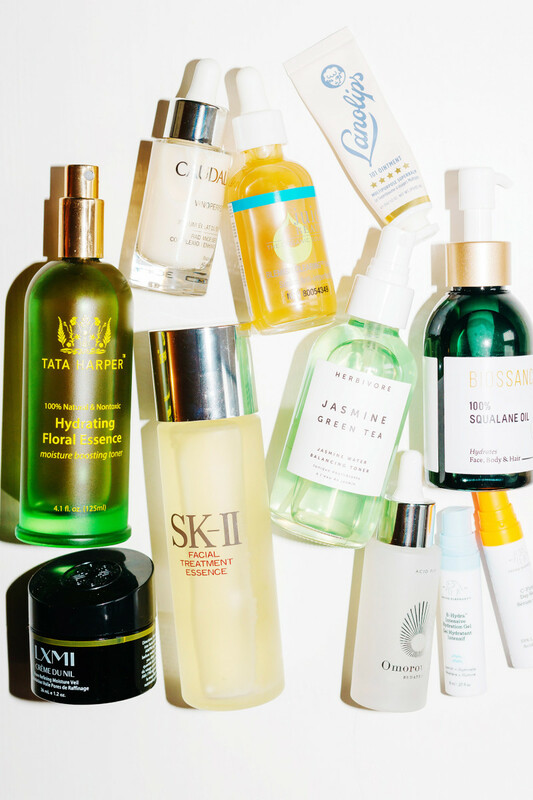 Face mist: There are so many good choices in this category! Some of my favourites include Caudalie Grape Water (reviewed here), Tata Harper Hydrating Floral Essence, Omorovicza Queen of Hungary Mist (reviewed here) and Herbivore Rose Hibiscus Coconut Water Hydrating Face Mist. I really want to try the new Dr Roebuck&apos;s Bondi Hydrating Mist ( only)! Essence: If you want a weightless, non-greasy hydrator to wear alone or layer under creams or oils, I suggest SK-II Facial Treatment Essence or Omorovicza Omoressence (reviewed here). Serum: I recommend it time and time again—Consonant HydrExtreme ( only, reviewed here) is my all-time favourite natural hydrating serum, clinically proven to outperform hyaluronic acid! 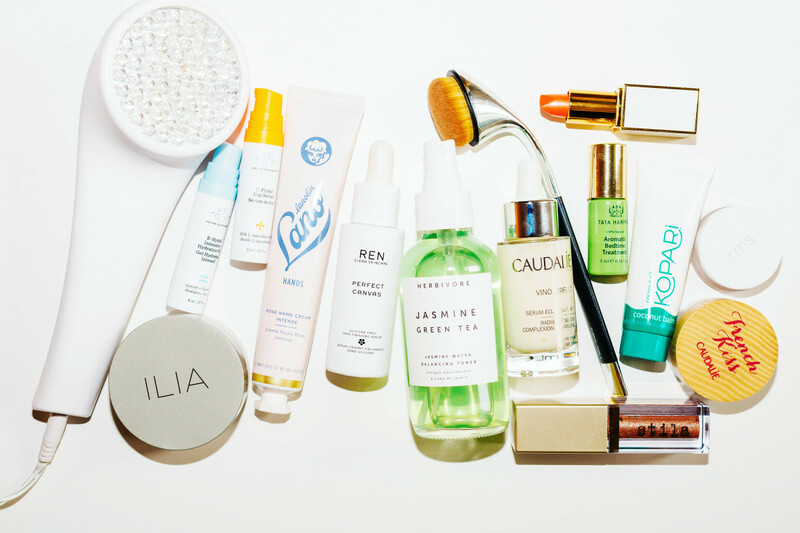 If you can&apos;t get that, the next best things would be Drunk Elephant B-Hydra Intensive Hydration Gel or Caudalie Vinoperfect Radiance Serum. Moisturizer: As I stated last year, I think LXMI Crème du Nil Pore-Refining Moisture Veil (reviewed here) is the best moisturizing cream in the entire store! I would also go for Dr Roebuck&apos;s No Worries Hydrating Face Moisturizer ( only) and/or Dr Roebuck&apos;s Nuddy Ultra Hydrating and Repair Crème ( only). Eye cream: For a lightweight eye treatment under makeup, Biossance Squalane + Peptide Eye Gel (reviewed here) or Hylamide SubQ Eyes ( only) are perfect. For a richer, creamier texture, my pick is Dr Roebuck&apos;s Down Under Collagen Boosting Eye Treatment ( only). 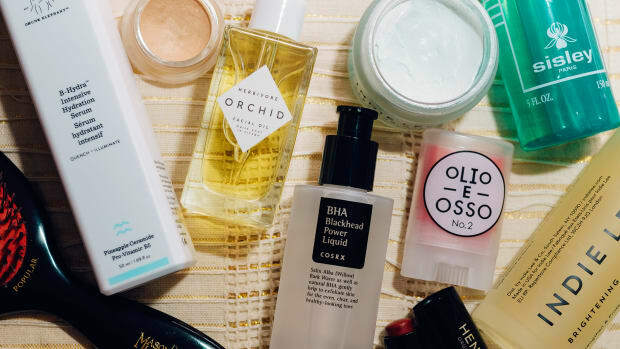 Face oil: If you&apos;ve been reading this website for a while, then you know squalane is my ultimate oil. Find it in Biossance 100% Squalane Oil (reviewed here). I would also recommend shea butter (LXMI Pure Nilotica Melt Nourishing Balm-to-Oil) and coconut oil (Kopari Coconut Melt, reviewed here). Kopari Coconut Sheer Oil (reviewed here) is a lightweight oil blend that includes coconut, shea and vitamin E... also very nice! 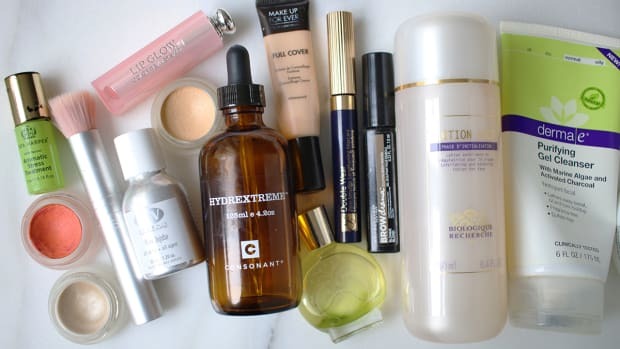 Sunscreen: Big news for Canadians, we can finally get Drunk Elephant Umbra Sheer Physical Daily Defense and Drunk Elephant Umbra Tinte Physical Daily Defense (both SPF 30!). My other pick for high-zinc mineral protection is Juice Beauty SPF 30 Oil-Free Moisturizer ( only). 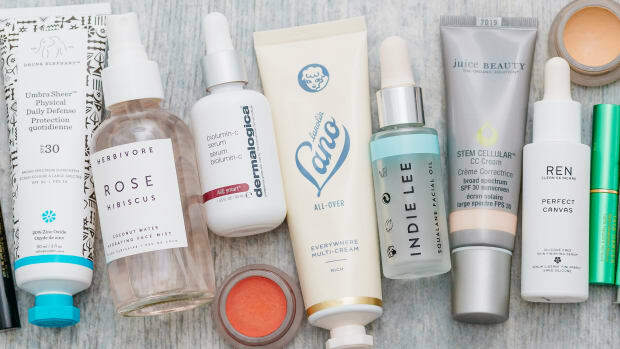 Vitamin C: For antioxidant protection and fading pigmentation, I think your best bets are Hylamide Booster C25 ( only, reviewed here) and Drunk Elephant C-Firma Day Serum. Niacinamide: This is the most underrated ingredient that can be used by EVERYONE and treats acne, pigmentation, wrinkles, dry skin and more! I&apos;ve been using Skin Inc. Vitamin B3+ Niacinamide Serum and love it. Retinol: If you want a fairly strong retinol cream, I suggest Dermalogica Overnight Retinol Repair ( only), a 0.5 percent retinol that you can use with or without the buffer cream. There is also Dr. Dennis Gross Ferulic Acid + Retinol Brightening Solution, which I haven&apos;t tried yet but sounds amazing. If you find retinol too irritating, I would consider Biossance Squalane + Phyto-Retinol Serum—it contains bakuchiol, a gentle, plant-derived retinol alternative. Copper peptides: I believe that copper peptides are on par with retinol for their anti-aging, skin-transformative abilities. 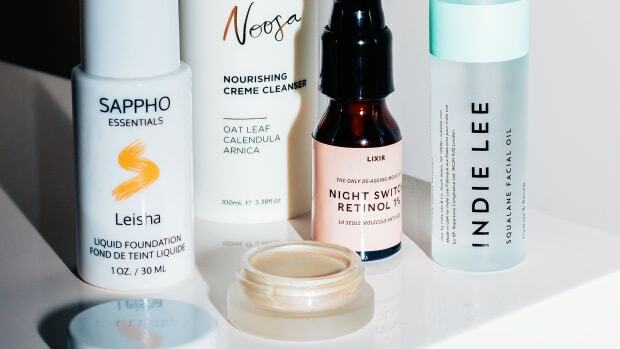 If you&apos;re keen to try it, go for NIOD Copper Amino Isolate Serum 2:1 ( only), Drunk Elephant Shaba Complex Eye Serum or the Omorovicza Copper Peel (reviewed here). Mask: For exfoliation and brightening, my favourite mask is the cult classic (and all-natural) Tata Harper Resurfacing Mask (reviewed here). Herbivore Brighten Pineapple Enzyme + Gemstone Instant Glow Mask (reviewed here) and Herbivore Blue Tansy Resurfacing Clarity Mask are also lovely formulations. For hydration, my top sheet mask pick is SK-II Facial Treatment Mask. Lip balms: I just wrote a whole post about this over here—if you&apos;re looking for a portable, purse-sized balm that truly works, I like Lanolips Multipurpose Superbalm ( only), L&apos;Occitane 100 Percent Pure Shea Butter Mini and LXMI Pure Nilotica Melt Nourishing Balm-to-Oil (the smaller size). Makeup from ILIA, RMS Beauty, Stila, Tom Ford, NARS, Clinique, Caudalie, Guerlain, Smashbox, REN and Omorovicza. Primer: Most primers are full of silicones, which I prefer to avoid for the health of my skin. The best one I&apos;ve found that is silicone-free is the new REN Perfect Canvas Skin Finishing Serum. Two other options are BECCA Ever-Matte Poreless Priming Perfector (reviewed here), which is great for oily skin, and Smashbox Photo Finish Primer Water. Foundation: If you like liquid foundation, the best silicone-free foundation they carry is BareMinerals bareSkin Pure Brightening Serum Foundation. Another one is Milk Makeup Blur Liquid Matte Foundation, but it contains hydrogenated polyisobutene, which basically acts like mineral oil. Tinted moisturizer: Although Laura Mercier Tinted Moisturizer is my favourite conventional tinted moisturizer, if you are looking for one with more skin-friendly ingredients, go with the Bare Minerals Complexion Rescue Tinted Hydrating Gel Cream (it&apos;s silicone-free). Concealer: Of course, my Holy Grail that I talk about all the time is RMS Beauty "Un" Cover-Up (reviewed here). It also works beautifully as a foundation. If you have light skin, another good one is Omorovicza Mineral Touch (reviewed here). Powder: I&apos;ve used RMS Beauty "Un" Powder for a long time and still love it... but ever since I discovered ILIA Soft Focus Finishing Powder, I wear that even more! It&apos;s mattifying without being drying and the texture is perfect. Blush: As far as natural formulas go, I usually wear RMS Beauty Lip2Cheek—the newest shade is Paradise, an amazing coral. I&apos;m going to be buying the Tata Harper Volumizing Lip & Cheek Tints as well, which are similar. Don&apos;t forget about the Bite Beauty Multisticks (reviewed here) if you&apos;d like something that can work on lips, eyes and cheeks! Bronzer/contour: The only two bronzing products I wear are RMS Beauty Buriti Bronzer and RMS Beauty Contour Bronze. Unlike most bronzing makeup, they look completely natural on the skin—and have skin benefits! Highlighter: The newbie here to get excited about is LXMI Nilotica Goddess Glow, a creamy, rose-gold illuminator. Also fairly new are the RMS Beauty Magic Luminizer (reviewed here) and the RMS Beauty Champagne Rosé Luminizer, which disappeared in Canada for a while but is now back! Of course, you can&apos;t go wrong with the cult classic, RMS Beauty Living Luminizer. Eyeshadow: I don&apos;t know about you, but I have major palette fatigue. I&apos;m more into eyeshadow singles right now, such as the Stila Shimmer & Glow Liquid Eye Shadow in Kitten (reviewed here). It&apos;s glittery, but in the best way! I also wear the new RMS Beauty Eye Polish in Aura a lot. Mascara: I&apos;m all about the tubing formulas, which won&apos;t ever give you raccoon eyes. Clinique Lash Power Mascara and Kevyn Aucoin The Volume Mascara are the two options they carry. Brows: This category is so personal, but a new brow product that has impressed me is the Guerlain La Petite Robe Noire Brow Duo. One side is a tinted brow mascara (super-soft and not clumpy at all) and the other side is a highlighter to use at the inner corners of your eyes (or anywhere else you want to brighten). Lipstick: Sometimes you&apos;ve got to treat yourself, and that&apos;s what I did last sale with the Tom Ford Lip Color Sheer in Sweet Spot. It&apos;s basically my perfect lipstick, from the sheer finish to the flattering colour (peachy coral) to the insanely beautiful packaging. Like everything else from this brand, I&apos;m also loving the new RMS Beauty Wild With Desire Lipstick line. Tinted lip balm: The perfect tinted lip balm does exist, and it is Caudalie French Kiss Tinted Lip Balm (reviewed here). If your lips are naturally pretty dark, like mine, you&apos;ll want it in Addiction, the raspberry shade. So pretty! Lip liner: I love the concept and shades of the RMS Beauty Lip Liners (reviewed here). Of conventional brands, I find NARS Velvet Lip Liner to have great longevity and a smooth texture. 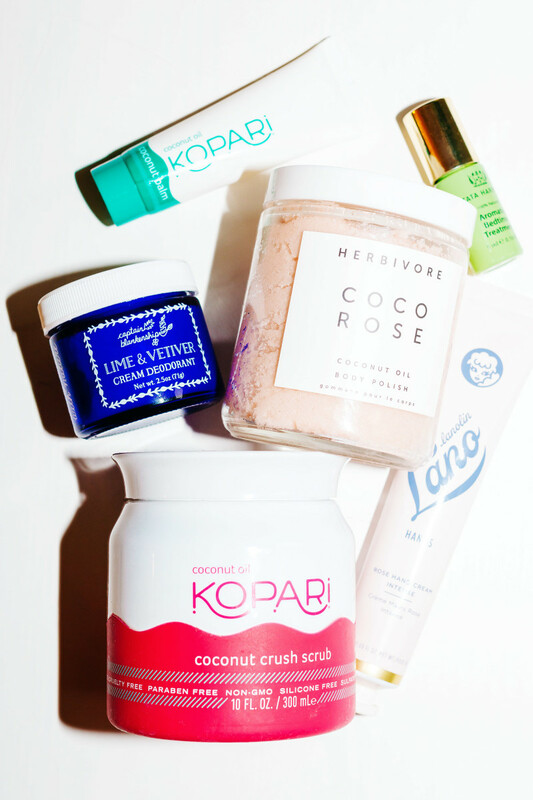 Body products from Captain Blankenship, Herbivore, Tata Harper, Lano and Kopari. Body scrubs: The Herbivore Coco Rose Coconut Oil Body Polish (reviewed here) is all-natural and looks so pretty in your bathroom. Kopari Coconut Crush Scrub (reviewed here) is another favourite. Body moisturizer: If you&apos;re looking for a rich, yummy-smelling body cream, the two best options are Lavanila The Healthy Body Butter and Dr Roebuck&apos;s Top Stuff Ultra Hydrating Body Creme ( only). Don&apos;t forget that coconut oil such Kopari Coconut Melt (reviewed here) also makes a great body "lotion." Hands and feet: The two treatments I&apos;ve been using are Lano Rose Hand Cream Intense ( only) and Kopari Coconut Balm (reviewed here). Can&apos;t say enough good things about both! Deodorant: If you haven&apos;t made the switch to natural deo yet, give Captain Blankenship Lime & Vetiver Cream Deodorant a try. The mix of coconut oil, shea butter and baking soda really does work! Fragrance: The 7 Virtues ( only) is my new scent obsession. The fragrances are all-natural, free of phthalates, and come in gorgeous combinations like Vanilla Woods and Jasmine Neroli. For aromatherapy, Tata Harper Aromatic Bedtime Treatment ( only) is so soothing and relaxing. Oral care: I suppose you could DIY these, but I love my Skinny & Co. Oil Pull first thing in the morning for a fresh, clean mouth. Kopari Coconut Oil Pullers are the same concept, but in a range of flavours. Are you shopping this sale? What products are you planning to buy? Surprise! Nearly everything at Sephora is on sale right now.